Vice Media has promoted Josh Tyrangiel, the head of its forthcoming HBO nightly news broadcast, to oversee news operations across the company, CNNMoney has learned. 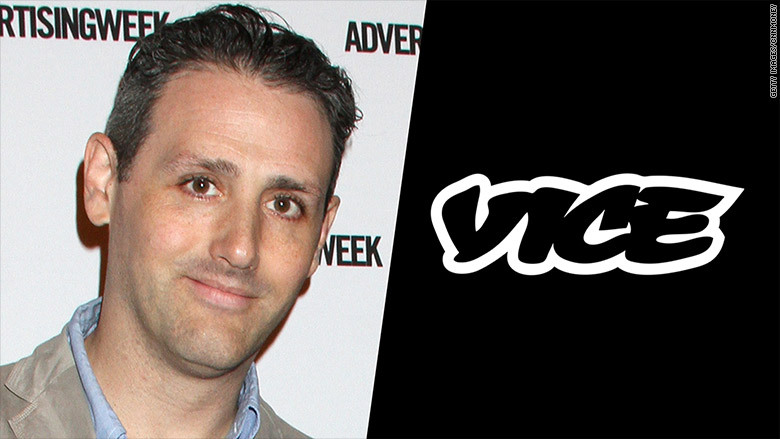 The move, which is meant to unify the Vice News television and digital platforms, will put Tyrangiel in charge of VICE News, Vice on HBO weekly, and VICE on HBO nightly. "The plan in place will expand VICE's news offerings across digital and TV, continue the recent of wave of newsroom hires, add additional foreign bureaus, and marshal the company's existing news divisions into one cohesive powerhouse," a Vice spokesperson told CNNMoney. But the move will not come without cost: On Tuesday, at least a dozen members of the existing Vice News staff were abruptly informed that they would be losing their jobs in the restructuring. At least three Vice News employees in the United Kingdom have also been laid off. Tyrangiel, the former chief content officer at Bloomberg, joined Vice in October to lead its nightly news broadcast, which is expected to launch this fall. He has already made several new hires, including NBC News veteran Madeleine Haeringer, who will serve as executive producer of the nightly news cast, and former New York Times assistant editor Ryan McCarthy, who is editor-in-chief of Vice News.